Jon Stewart was a surprise guest at the start of Stephen Colbert's "Late Show" premiere Tuesday night. And at the end of the episode there was another Stewart surprise: His name was in the closing credits. Yes, Stewart is an executive producer of the new "Late Show," CBS confirmed on Wednesday morning. That means he has a voice in behind-the-scenes conversations about the show's production and creative direction. Stewart wasn't mentioned when CBS named Tom Purcell and Meredith Bennett as the executive producers last month. The show also has two other co-executive producers. Stewart's involvement is not wholly unexpected since he also received an executive producer credit on "The Colbert Report," the show that followed his own "Daily Show" every night on Comedy Central. Producer credits are sometimes shared pretty widely in entertainment circles. 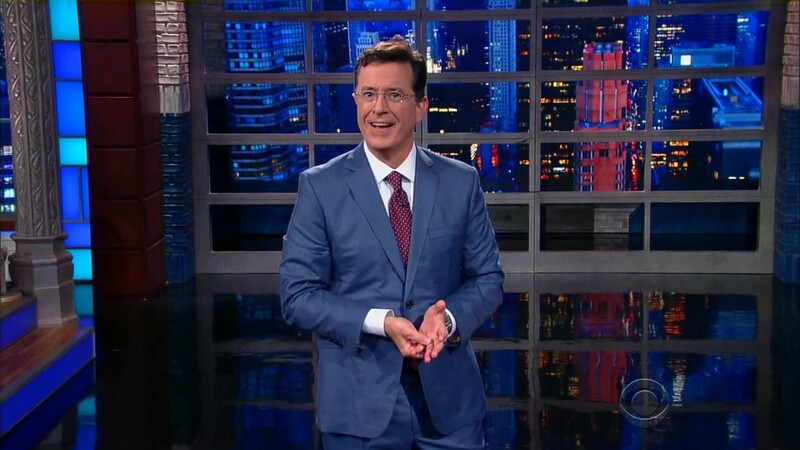 Stewart and Colbert's relationship goes back many years. Colbert was a correspondent on Stewart's "Daily Show" before gaining his own satirical half-hour. The two men also share a manager. For years there was speculation that one of the men might succeed David Letterman on the "Late Show." When Colbert got the nod, Stewart was generous in his praise. In a recent interview with The New York Times, Stewart said, "I'm not suited, and he is." Stewart also said that what made Colbert's Comedy Central character work "was the thing that Stephen had to hide, which is his humanity." Over on CBS now, "instead of throwing off the cape and revealing the monster, he reveals, actually -- oh, this incredibly lovely, talented man." Stewart's producer involvement was first reported by Politico.